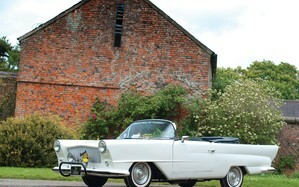 At next month’s RIAC National Classic Car Show at the RDS in Dublin, a running 17-foot Shamrock car will be on display. Only a handful of the now vintage cars were ever made. The Shamrock car was originally designed for the American market by visiting American industrialist William Curtis who wanted to start a car manufacturing business in Ireland. The Irish-made cars were only manufactured for a short time at a factory in Castleblaney in Co Monaghan. Before the project was shut down in the early 1960s for financial difficulties, the car model was lauded for its beauty, styling and elegance.